Participants contribute recorded sounds to an ever-changing, collaborative audio collection. These recording kits are reproduced and then circulated. When a recipient opens a box, the module inside is triggered to capture sound elements from the surrounding environment. 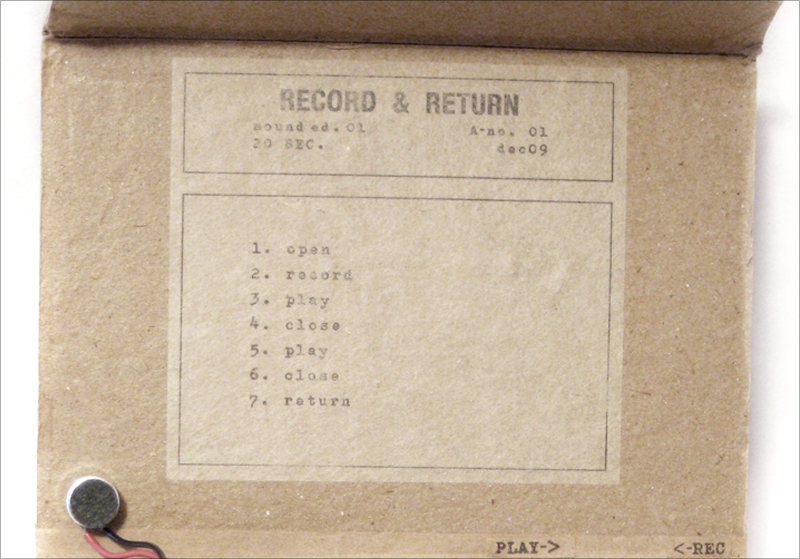 Once returned, the final recordings are played together, each recording becoming part of an ongoing, collaborative sound collection.